I chose two games or series and see which is better. After all of this time of judging video games on thetoplister website, I come to the conclusion that its time to finally judge the ten greatest consoles of all time. The soul about gaming is of course the games. But without hardware games would just be meaningless programs of 1’s and 0’s floating out into space. Because there has been this great divide of consoles is why gamers have given out full support for the system of their choice. As a well rounded gamer, I’ve spent the whole existence of this blog site just listing down the best games for each console. Now I’m more than confident to list off what is officially considered to be the best video game consoles of all time. We’re talking about traditional home consoles & handhelds by major companies that made good controls, state of the arch technology, easy to develop games for, and expanding the brand and community of gamers. Even more complicated, even their same console brand from a different region can even separate library from another so this makes listing best consoles more complicated than its original intent. This is where nostalgia bias goes out the window in favor for the facts and today’s enjoyment. Is the library of games good on the system (exclusive titles included) and is the system fun to play to this very day? That’s the real focus in making this list so be prepared for thetoplister’s biggest list yet! There’s somewhere in the back of my mind that this is going to be Nintendo’s last ever “traditional” handheld system. The world today is so much different than 2004, smart phones do almost everything that the DS can (besides dual screen), and the Nintendo Switch is the hybrid of handheld and home consoles. Though the handheld market has kept Nintendo’s business alive whenever they were far from being number one in the home console market for multiple generations, no one could touch them in the handhelds. Now that everyone has phones, this old DS technology can’t compete against the accessibility that phone games have. It’s already too many electronics to carry around and there really is no point of doing another handheld that isn’t what the Switch is currently doing. The 3DS had a really rough start with low sales. Flaws were apparent on this new generation of Nintendo handhelds; it looks just like a regular DS, no one likes the nauseating 3rd Dimensional visuals (nowhere at bad as the Virtua Boy), there was a lack of a second analog stick (C-stick is still small in XL models), and you’re no longer able to play Gameboy Advance games like the DS was able to. But the 3DS didn’t stop despite losses in stock department. The library kept growing, new additions and models for the console kept going, internet connectability is much more accessible, and game innovations kept flowing in the 3DS library. Though I can’t see the 3DS possibly be Nintendo’s future anymore, 3DS was the N64 handheld successor and much better than the N64. Just look at how the 3DS dominated the more technologically superior PS Vita based on third & first party support and an ever growing library shows that this is some of Nintendo’s best efforts. These ten games proved to be the case! The Gameboy Advance was the last ever true 2D console as up to mid-2000s, technology using 3D games became the standard since the Playstation Portable achieved such a thing. But as technologically primitive as portable games were, they were victims of video game piracy and emulation. Nintendo needed to act fast with their next handheld to be more complex for the their games to be only played on the system. Sometimes old ideas can still be refreshing when trying to be different from the competition. This upcoming handheld’s model was designed by Nintendo’s LCD games in the early days when former Nintendo president Hiroshi Yamauchi about a dual-screened console. The idea of two screens seemed like too much multitasking but it proved to be the most important factor. Finally given the name Nintendo DS, short for “Developers’ System” or “Dual Screen” was a wild success. With the ability to do touch screen on the bottom screen paved the way on gameplay innovation. 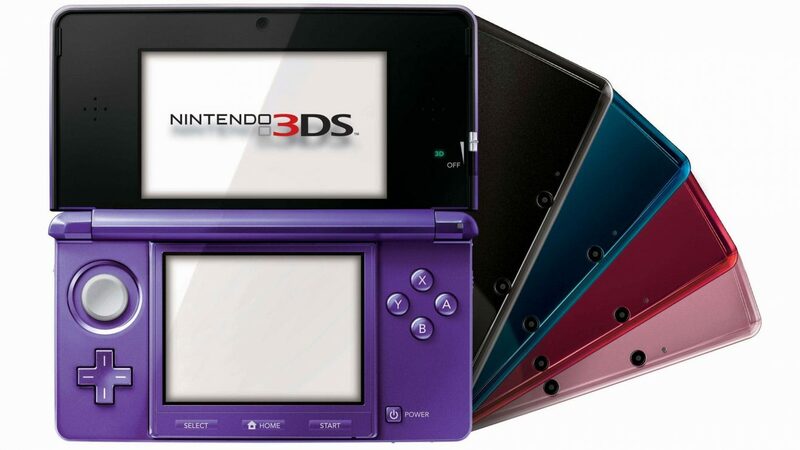 Not only that, the DS introduced distinctive new features to handheld gaming: two LCD screens working in tandem (the bottom one featuring a touchscreen), a built-in microphone, and support for wireless connectivity. Nintendo wisely shepherded a wide array of games onto the DS to appeal to adults and non-traditional players in a way we’d never seen before. Though we did expected the DS to be the handheld Nintendo 64 just like the GBA was the portable SNES, but ironically that wasn’t the case because the DS exceeded that expectation by doing everything better than the N64. For one we had a plethora of all kinds of games and the highest amount of RPGs that a Nintendo console has ever had. . It was meant to be an additional component to the Game Boy and GameCube consoles, however, it’s backward compatibility and success made it Game Boy’s successor. The DS came with technical upgrades new at the time. Nintendo kept making the DS community stronger than any other handheld system by making new DS models (DS-lite, DSi, DSi XL, etc. ), region lock free, and just so many piles of gems that makes portable gaming more popular than ever. I have nothing but praise for the DS and these ten games shown in this list proves why DS is Nintendo’s greatest handheld of all time. With all the complaints of the Playstation Vita is discontinued way too early in its lifespan, I can see why the demand for high quality handheld games hasn’t been met until the Nintendo Switch that is a hybrid of a handheld & a home console. Handheld gaming has always been seen as the low quality machine that is for those who are willing to give up all the highlights of playing in your living room just to play games anywhere you go. That wasn’t until Sony decided to take the Playstaion 2 technology and make it into a portable machine. Though it was overshadowed by its competitors (Gameboy Advance & Nintendo DS) and its brother console Playstation 2, there’s something very special about this handheld. For me, this is THE handheld machine that predates all phone & console quality gaming that we have today. It was simply mindblowing to see actual PS2 level textures, video cutscenes, console quality sound, and wifi internet connection being able to be finally played outside of the living room & wherever you played your Gameboy. It was the first machine that thought about making screens wide that is now the standard of all screens today. This is one of those innovative machines that could have intimidate third party support from making games for the machine and fortunately history did not repeat itself this time. Despite its awkward UMD based format & the lack of a second analog stick that made the PSP limited, developers felt right at home when making games for this machine. I also appreciate the fact that the PSP was more than just a gaming machine. With movies being on UMDs (though outdated and no longer used), able to play music, & internet connectivity, Sony made the PSP a multiplaform machine. We were all able to do so much on the PSP that it became the blueprint for how the Playstation 3 was going to become. But above all else, the PSP was the first non-Nintendo handheld product that we didn’t have to worry about how much power is in our battery (a it can last a lot of hours) but rather what countless games are on the system is worth our time. And this list is here to give you ten of the greatest video game handheld console. After the massive success that Sony had with the Playstation 2, the gaming industry was ready to go HD & Motion Gaming. The game companies must realize that when you’re debuting a new console, you must make press conferences like E3 presentable. And that’s where Sony dropped the ball with E3 2006 with it’s expensive price tag of $599 and lack of good launch titles, no wonder why Xbox 360 got a head start of the market while PS3 struggled in third place. But I’ll give Sony this much credit, even though they were in last place throughout the 7th Gen, they never seized to slow down on this Playstation product. The whole business did all they could convincing gamers everywhere to buy a PS3 starting with releasing exclusives that you couldn’t get on any console, a fantastic 3rd Party support, online functionality, and even pushing the limitations of the system further than what the 360 or Wii ever could. Sure many multiplatform games didn’t operate as well as its rival 360, the Playstation Move was a joke rip-off of the Wii, & the download speed + nonstop updates were slow as hell. Because the Playstation 3 was in last place (of the three) doesn’t mean that it was at all a horrible machine. Far from it! PS3 was far more appealing than the 360 & Wii based on the exclusive games offered in its library. If anything, the PS3 is a prime example of not giving up when you’re in a losing game. Because Sony did everything in their power to keep public interest in the console is why Blu-ray defeated HDDVDs & the PS4 is ahead of the console market today. These ten games are the most qualitative games on the machine and worth coming back to. I bet Microsoft will consider the 7th Generation of Video Games as the best year of their time in console manufacturing. No dispute that Xbox 360 had better success than their original Xbox and beat Sony’s Playstation 3 (but couldn’t match against the Nintendo Wii). The 360 has been beloved by so many who owned it, but in actuality, it’s more of a PC turned into a console than anything else. Nearly anything that has been seen on the 360, it also has been seen on the PC. Because of this, Xbox 360 has lost a lot of its identity from the original Xbox. No longer is Halo the main attraction, but instead it was the multiplatform games that rant 9 times out of 10 ran well on the 360 than they did on the PS3. While PS3 had so many exclusives and must have games, Microsoft got really lazy with the software department and focused way too much on hardware instead. Stuff like the Kinnect was a complete embarrassment to look back at and because it never worked as well as the hype claimed it to be. The Kinnect kept this machine from living up to any hype surrounding it. And does the Xbox Live really have to bill us gamers to use its service (PS3’s online is still free today). And don’t get me started with the early years of the 360’s red ring of death debacle. I still pity all those who had a red ring of death on their 360 that made me turn away from this machine for quite some time. It’s faults like this is why Xbox One could never be a good follow up to the next gen. I got nothing against Microsoft, I just personally enjoyed the original Xbox more for having variety of exclusives and not just relying on 3rd party support to do all the work. Though I’m surprised to not include a single Halo game in the list, most of these games are basically the best multiplat games of the 7th Generation of Consoles. The Wii U had almost everything to be a huge successor over the Nintendo Wii and expectations were huge since their time in the 7th Generation of Consoles was their most successful since the NES & SNES days. Just what happened to Nintendo when they had to complete against the Xbox One & Playstation 4? Well, it’s everything! Their marketing with the console was horrible. The reviel of the system felt like an add-on for the Wii instead of feeling like a brand new gaming system. The name Wii U is one of the worst names you can ever give to a console because it sounds like an innuendo and it relies on naming the Wii based on their last console’s success. It’s also really funny that the Nintendo Wii’s huge flaw is that its under-powered & too many suffleware as third-party support. Now the Wii U is on par with gaming technology of today and it’s lacking good third-party support. With a perplexing gamepad, minimal support, useless extras, lack of Triple A titles, and poor online community and connectivity, it has every right to be called Nintendo’s worst systems. Nintendo made the right decision of jump shipping to a new gaming system with the Nintendo Switch because it was far too late to save this obsolete machine. I see no reason to go back to the Wii U because many of their titles are appearing on the Switch. If anything the Switch is the Wii U done right. But while it was still on the Nintendo market, these were the only good games on the Nintendo Wii U.